الخيار الأفضل للحصول على المتعة والاسترخاء، Tiarri Terrigal يقع في منطقة رائجة من أفضل مناطق المدينة. يمكن من هنا للضيوف الاستمتاع بسهولة الوصول إلى كل ما تقدمه هذه المدينة النابضة بالحياة. يشكل هذا الفندق ملاذاَ مريحاً للاسترخاء ويمنح زواره فرصة للاستجمام والتجدد، وهو يقع على بعد خطوات من المعالم السياحية الكثيرة للمدينة. يقدم Tiarri Terrigal خدمات لا غبار عليها وكل أشكال اللياقة وحسن الضيافة اللازمة لإسعاد ضيوفه. لضمان راحة ضيوفه، يقدم الفندق الخدمات التالية: واي فاي مجاني في جميع الغرف, أمن على مدار 24 ساعة, خدمة التنظيف يوميًا, تسجيل وصول/تسجيل خروج خاص, مجهز لذوي الإحتياجات الخاصة . في الفندق غرف نوم يتجاوز عددها 8، كلها مجهزة بعناية وجمال وبعضها مزود بـ تلفزيون بشاشة مسطحة, سجاد, قهوة فورية مجانية, شاي مجاني, بياضات. صممت خدمات الاستجمام في الفندق والتي تتضمن حديقة لمساعدتك على الاسترخاء والراحة. يشكل Tiarri Terrigal بخدماته الراقية وموقعه الممتاز، قاعدة مثالية للاستمتاع بإقامتك في المدينة. يرجى ملاحظة أنه لا يسمح للأطفال الأقل من 18 عامًا بالإقامة في هذا العقار. يرجى العلم أنه يُحظر التدخين تمامًا في الغرف وداخل المبنى. إذا كنت مدخنًا فيرجى الإبلاغ بذلك عند الحجز وسوف يسعى الفندق إلى وضعك في أقرب مكان ممكن لمنطقة التدخين المخصصة لدينا بالخارج. يُرجى الاتصال بمكتب الاستقبال في حالة تسجيل الوصول بعد الساعة 06:00 مساءً في أيام الإثنين إلى الجمعة، والساعة 12:00 ظهرًا في أيام السبت، والساعة 03:00 بعد الظهر في أيام الأحد والعطلات الرسمية. هذا مبنى بمستويين. يوجد مستوى من السلالم يصل بين ساحة انتظار السيارات ومكتب الاستقبال وصالة انتظار النزلاء والحديقة. وتوجد غرف في كلا المستويين. This is a lovely spot if you plan on getting out and about on the Central Coast without spending a fortune. 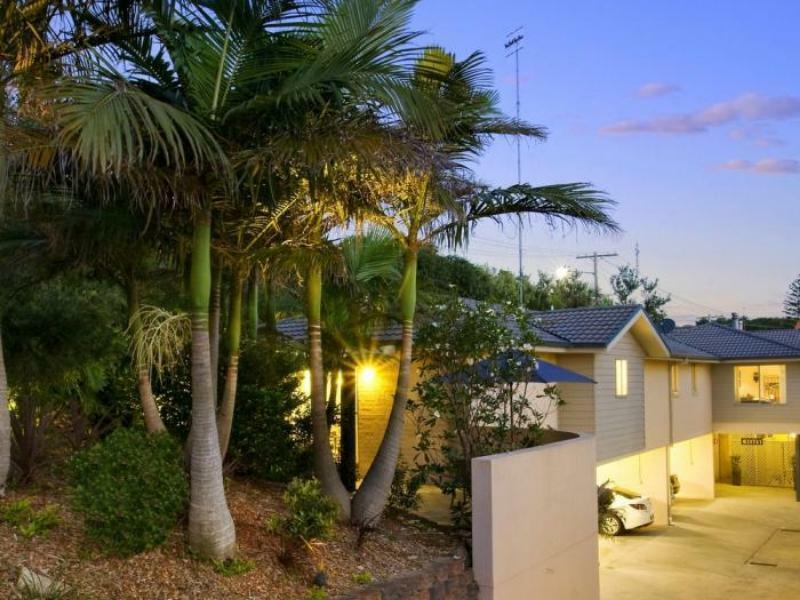 The location is tucked away nicely from the busy main streets however it is a short walk to Terrigal beach. The staff are friendly and easy access to our room. They were very thorough with checking what time I planned to arrive and that they would have everything ready for us. We plan on coming back again for sure! 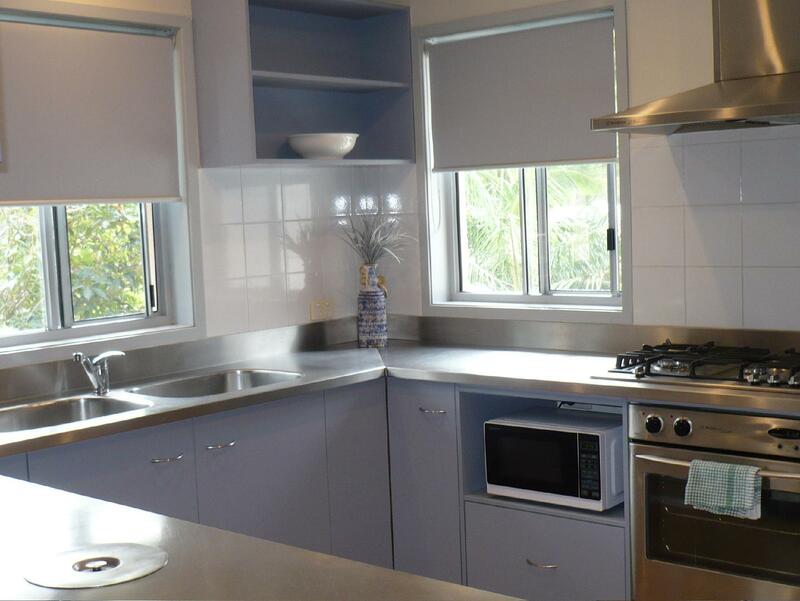 The location was walking distance to the beach, shops, bars and restaurants. The walk back would be a challenge as is very steep. Although only a relatively short distance we got a car back because of the incline. The room is clean and a breakfast pack is provided. 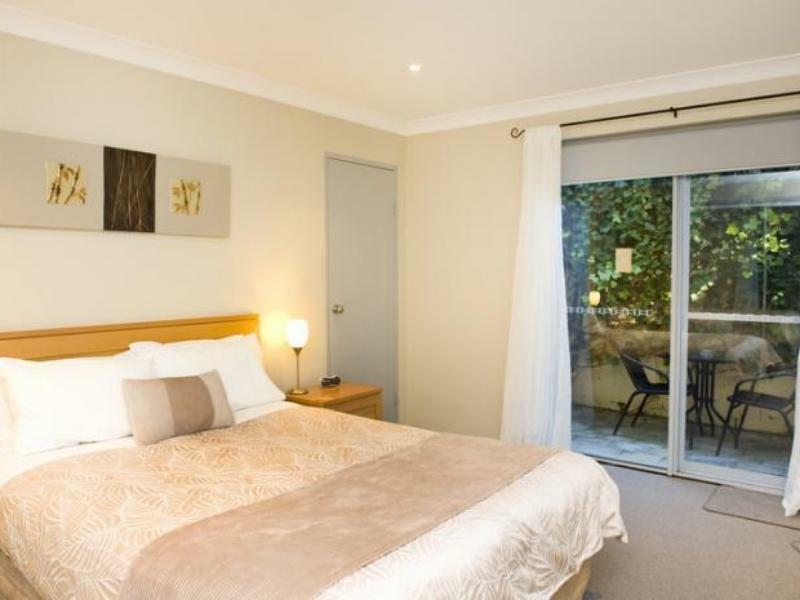 The rooms have sliding doors that lead out to a pretty garden area with a table and two chairs. Staff on reception were very friendly and accommodated us for an earlier check in as we were attending a lunch. window in bathroom left open and mosquitos in room when I arrived. Door to outside was unlocked on arrival and I didn’t notice until after I’d been out (left all valuables in the room) and come back late. Also no teacups on the saucers in the cupboard.. the other times I’ve stayed it was great though! The staff were very friendly when we arrived. The room was gorgeous, with everything you could ask for. To top it all off the manager left wine and chocolates in the room as a birthday surprise. A wondeful place, and have already booked to stay again. friendly staff and owner. Owner came himself as I arrived afterhours. Very nice property. This is a great place to stay. 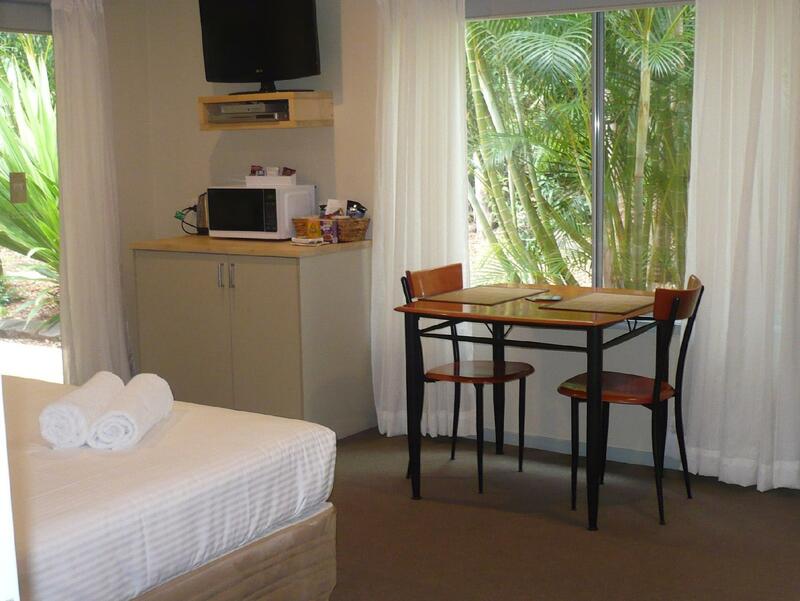 We have tried other Terrigal accommodation and this is by far the best value. The spa really adds luxury to your stay. room is nice, clean and spacios. 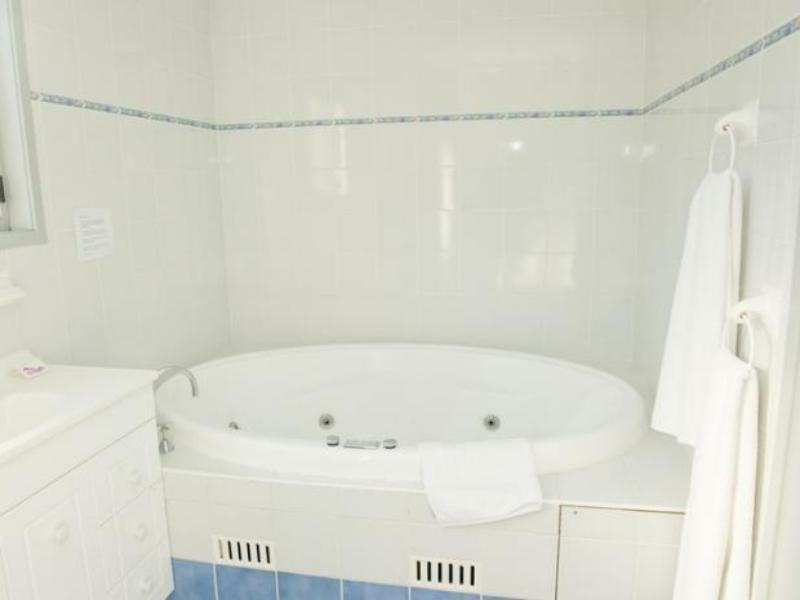 love the spa tub it can fit 2 adults. really recommend the king spa room. parking space is 1 car per room. The driveway and thr carpark was tricky for us. Friendly and considerate staff. Tasteful décor and quiet location. 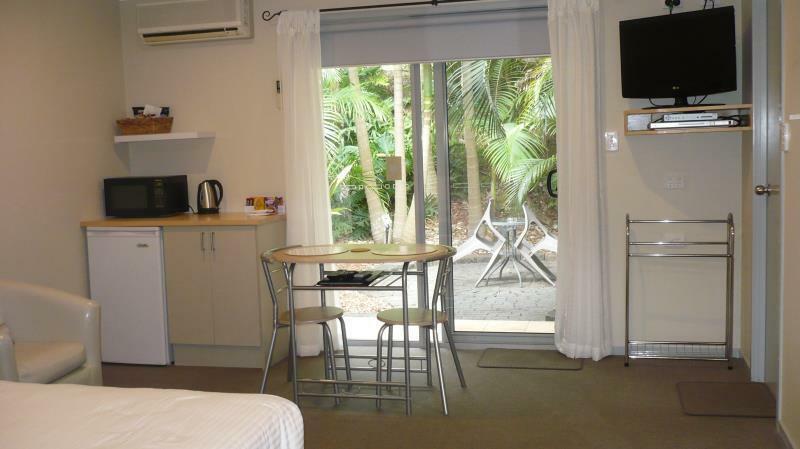 A very nice place to stay when in Terrigal. Close enough to walk to anything along the esplanade (though it is in a hilly part of town). Staff were very friendly, and very helpful. It was nice enough for me to want to stay another night, one small criticism is that I felt the room did lack a little privacy with it having a common courtyard to a-joining rooms, sure you can role down the blind but it make the room rather dark.